The structure of a Fuller Formation Group is designed to provide a concentrated season of formation and renewal of purpose for your mission in God’s kingdom. What Is a Fuller Formation Group? A Fuller Formation Group is a year-long commitment to establishing patterns of formation within biblical community. Each group consists of 15-20 individuals, but your small group of just four to five provides the most concentrated community of growth. Quarterly retreats, monthly cohort video calls, and short weekly spiritual exercises will provide a refreshing, flexible structure to revisit, name, and strengthen your unique purpose in the kingdom of God. The structure of Fuller Formation Groups is designed for growth and renewal, not to tax already burdened schedules. This year-long experience is founded on the belief that transformation occurs through spiritual practice and community engagement. A Fuller Formation Group will contain little theological instruction or teaching, but trained mentors will lead you to experience a multitude of rich spiritual practices that you will then learn to adapt to your own life rhythm. Fuller Formation Groups creates a supportive community that helps you achieve vocational clarity and develop and sustain lifelong patterns of spiritual health. 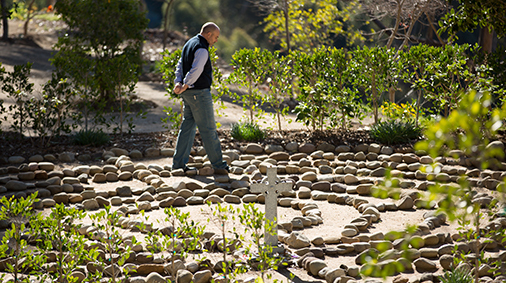 These one- or two-night retreats are guided spiritual formation opportunities that provide individuals with space to spend time alone with God, practice spiritual disciplines, and be led in reflection in community. Each month your small group (four to five people), guided by a trained spiritual mentor, will gather using video technology to discuss spiritual practices and share where God is at work in your life. Each week you will engage in learning, practice, reflection, and relationship through spiritual practices, short videos, and readings that will take about 45 minutes of your time per week. You will receive mentorship and coaching from seasoned leaders, pastors, and spiritual directors to help you cultivate the tools to address the critical issues you face in your daily life.